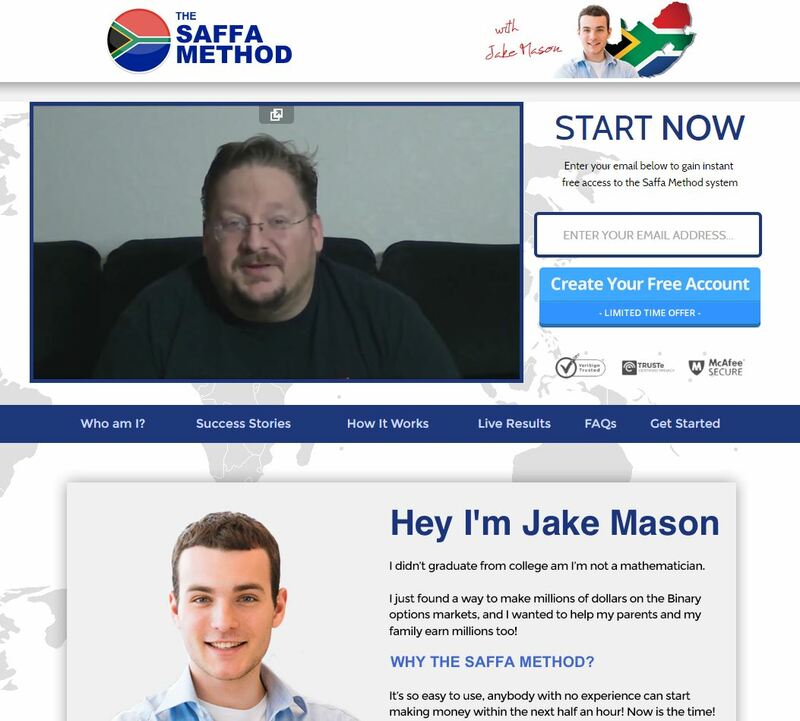 This Saffa Method review is a quick warning – this binary options program is a scam made to lose your money. 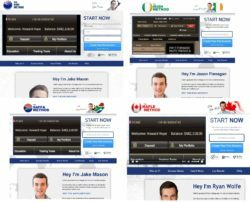 The alleged creator of this program Jake Mason claims that can make you earn hundreds of thousands of dollars within one month thanks to his Saffa Method. He trades binary options and allegedly is willing to give you everything you need to succeed for free. This method is the most cloned binary options scam we have ever seen. Every time it targets a different country, now it’s obviously South Africa with the Saffa Method. 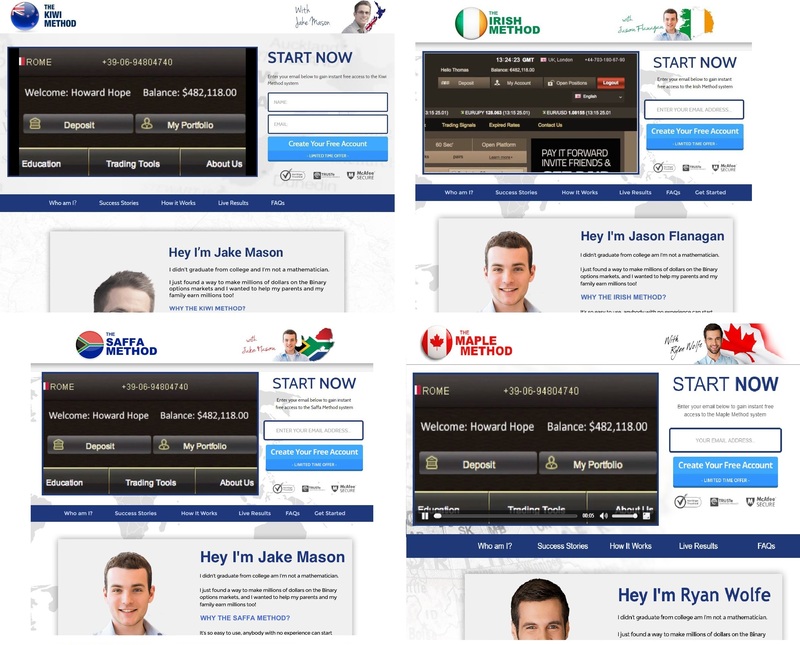 But scammers did not bother to invent a new name, they have already used Jake Mason with the Kiwi Method, meanwhile the photo of the guy is the same as in the Irish Method. Look at the picture on the right and you’ll see the proof. So it is not necessary for us to again through everything, you can read our previous reviews of this method. Let us remind the real purpose of the Saffa Method. People who created get paid by their partner broker for referring new depositing clients. This is why you will have to first deposit money with a broker that you cannot choose. Only the you will get access to the Saffa Method. But if you trade with this method, you will lose your deposit. Another name of this scam is The Brith Method. It is again presented by Jason Taylor. Everything else is the same, so beware! The Saffa Method is a well-known scam that is losing money to real traders, so stay away from it. People interested in making money in binary options trading should always start learning on a free demo with a regulated broker.